By Mark Drayton, Community Development Worker for Portslade & Portland Road. 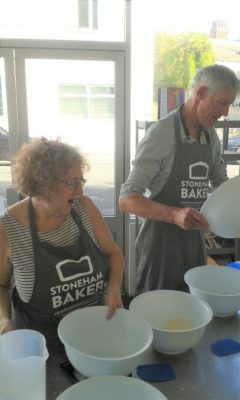 On Wednesday 26th September we held a Bread Baking session as part of the Brighton & Hove Older People's Festival. 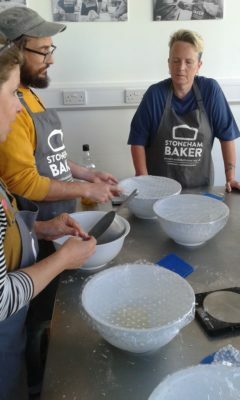 The session produced some tasty flat breads, rolls and breads as the lucky participants got their fingers sticky with dough at Stoneham Bakehouse in Hove. 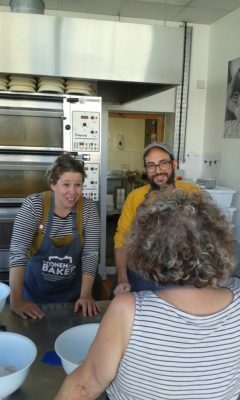 Tutors Simon and Paula put everyone through their bread baking paces while all those taking part learnt new skills over coffee and lively conversation. All agreed that the experience of baking was very therapeutic and relished the challenge of producing bread that good to eat. 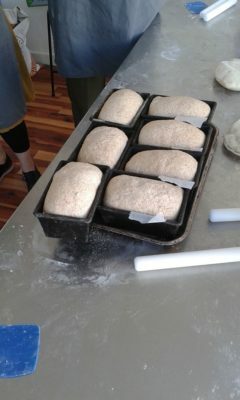 First up was the task of producing 6 rolls each with dough that was already proved by Simon. 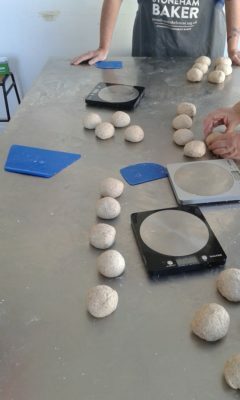 With helpful instruction, everyone found that they could measure out, knead and shape the dough into 6 roughly equal sized rolls. 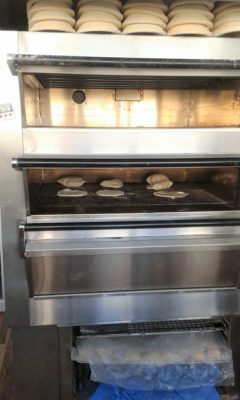 These were placed in the oven while the dough for the bread was kneading and placed in tins to rise before also being baked for all to take home to impress friends and family! Finally flatbreads were rolled out into a small circle and quickly baked before being eaten for lunch with some fresh dips. All the participants agreed they would like to continue with bread baking and places on The Bread Shed's Monday course were offered to everyone attending as well as 7 others on the waiting list for the taster session. One participant, Stephen, said "I'm so glad I booked this course. I enjoyed baking but this course reminded me how much I enjoy baking and how good it can make you feel. I'll definitely be back for more!"